I love blogging! I also enjoy following other bloggers who share the same passion as I do for healthy leadership, and who are a bit further down the road than I am regarding experience. So, I thought I’d compile a list of the ‘Top 8 Blogs’ I follow regularly and share them with you. Chances are if you are reading this post you may already be aware of many of the names I’ve mentioned below. But I’d encourage you to definitely check out the ones that might be new to you. So, here’s my list…in no particular order. Carey Nieuwhof – Lead Pastor of Connexus Community Church located north of Toronto. Author of Leading Change without Losing It. Carey blogs on the things which are on his heart: leading change, parenting, church leadership, personal spiritual health. This is honestly one of the best blogs out there. You’ve got to check it out! Follow Carey on Twitter. Craig Jutila – I’ve been learning from Craig for over a decade from when he first started publishing Children’s Ministry curriculum. Creativity and brilliant insight are two characteristics you will notice immediately in everything that he puts out there. My wife and I had the amazing privilege of assisting Craig and his wife (Mary) while he spoke at the Orange Conference this year. This couple is the real deal! Follow Craig on Twitter. Jim Wideman – Jim is the Children’s Pastor at World Outreach Church in Murfreesboro, TN. Let me just say that most of our churches have fewer adults visiting on Sunday morning than Jim has in his Children’s Church ministries. I had the personal privilege of participating in a mentorship group led by Jim called ‘infuse’ in 2012. The personal insights and challenges I gained from Jim and his coaches were priceless and I’d recommend it to anyone who leads a church ministry. Follow Jim on Twitter. Mac Lake – Our church has had the privilege of learning how to be intentional with our leadership culture from Mac in this past year. He is the Visionary Architect for the Launch Network, and served as the Leadership Development Pastor at Seacoast Church previously. Check out Mac’s blog. Maybe even consider using some of his material as discussion points in your staff meetings. Follow Mac on Twitter. Kelli Wommack – Kelli is a ministry partner and good friend of mine. She’s also a gifted leadership coach, writer, and speaker. She is the SERVE Minister at Chirst Community Church in Columbus, GA helping people reach their full potential in Christ. Visit her blog and leave her a comment. You’ll be glad you did! Follow Kelli on Twitter. Ron Edmondson – Lead Pastor at Immanuel Baptist Church in Lexington, KY. His posts are quite insightful and authentic. He writes on church leadership, culture, and the behind-the-scenes life of pastoring a church. This is a very well thought out blog across the board. Follow Ron on Twitter. Tony Morgan – Chief Strategic Officer and founder of TonyMorganLive.com and author of ‘Developing a Theology of Leadership.’ When you hear leaders talk about doing the best things for your ministry, even if it means negative pushback….Tony is one of the foremost authorities on the topic. He offers practical how-to’s and Biblical reasoning to strengthen leadership. Follow Tony on Twitter. Michael Hyatt – I have to start with just one word…..WOW! Michael’s personal and professional portfolio is unlike anyone else I know (and I don’t personally know him). Rarely is there a post that doesn’t catch my eye or challenge me. Blogs don’t get any better than this, people! Follow Michael on Twitter. Dan Rockwell – Lead Pastor of Good News Bible Church in Williamsport, PA. His blog offers a plethora of tips and methods for new and veteran leaders of all types. This is a blog subscription well worth your time. Follow Dan on Twitter. Follow just a few of these blogs and I assure you that you will never go a day without something worthwhile and educational to read. 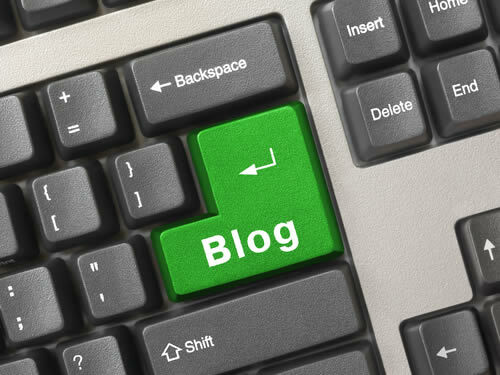 Whose blogs do YOU follow? Comment below or leave a voicemail. Brent – I am honored ( and a little intimidated!) to be included in a list with such incredible teachers and leaders. I learn a great deal from many of these and from you, as well! What I love about great leaders is one major thing they have in common: they are lifelong learners. Thanks again, friend. I am privileged to work alongside of you and other great leaders on our team at CCC.